Therapists are expected to practice cultural awareness. However, there is limited guidance on what this means when working with second or third generation families. This grounded theory study used a social constructionist life course perspective to understand how second generation Korean American parents locate themselves in the sociopolitical context and draw on these intergenerational experiences to construct a parenting ideology. 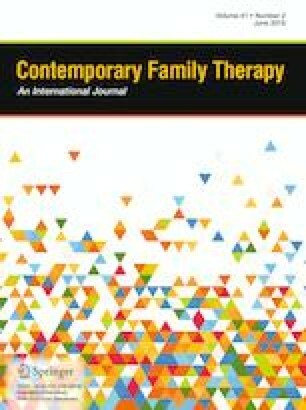 Semi-structured interviews with 20 parenting couples of children between 0 and 10 years of age showed parents engage in three major socio-contextual processes: (a) looks back on first generation parents’ experience of survival and marginalization, (b) explores meaning of being second generation Korean American parents, and (c) fosters contextual awareness of third generation children. Parenting intents appeared fueled by felt awareness of their increased societal power compared to their parents. Findings help family practitioners contextualize parenting experiences within the larger social context and suggest a nuanced, process-oriented approach to sociocultural attunement that attends to multiple interconnecting contexts, fluid across time and place. Informed consent was obtained from participants prior to conducting this study. Kim, L. H. (2012). Second generation Korean-American parents: Social context influence on parenting. Loma Linda University Electronic Theses, Dissertations & Projects. 84. http://scholarsrepository.llu.edu/etd/84.